The Lime glycerine soap from Ach Brito. Enriched with coconut oil and castor oil. It's ideal for a smoother skin and for pre-shaving. Aqua (Water), Cocos Nucifera (Coconut) Öil, Alcohol, Adeps Suillus, Sucrose, Sodium Hydroxide, Rizinus Communis Seed Oil, Parfum (Fragrance), Limonene, Sodium Carbonate. Founded in portugal in the year 1887,Ach Brito soaps are today synonym of quality and luxury worldwide. Made entirely by hand, using only natural ingredients,this soaps are still made as they were at the beginning of their manufacture. The secret of its quality is due to the seven mixing process and natural drying. Only this way they ensure the fragrance and consistency to the end. 100% natural, vegetable based concentrated Shea butter formula softens and protects the skin as it wash. There is no cracking or splitting and the fragrance last until the very end of the bar. Great for offering to a loved one or simply for your personal use, Ach Brito soap for is proven quality and great perfume its the right choice for your skin in your daily bath. Always keeping the tradional vintage package, as the philosophy of the brand Ach Brito. Good soap for washing face before shaving. I've used this soap for some time as a pre-shaving soap! 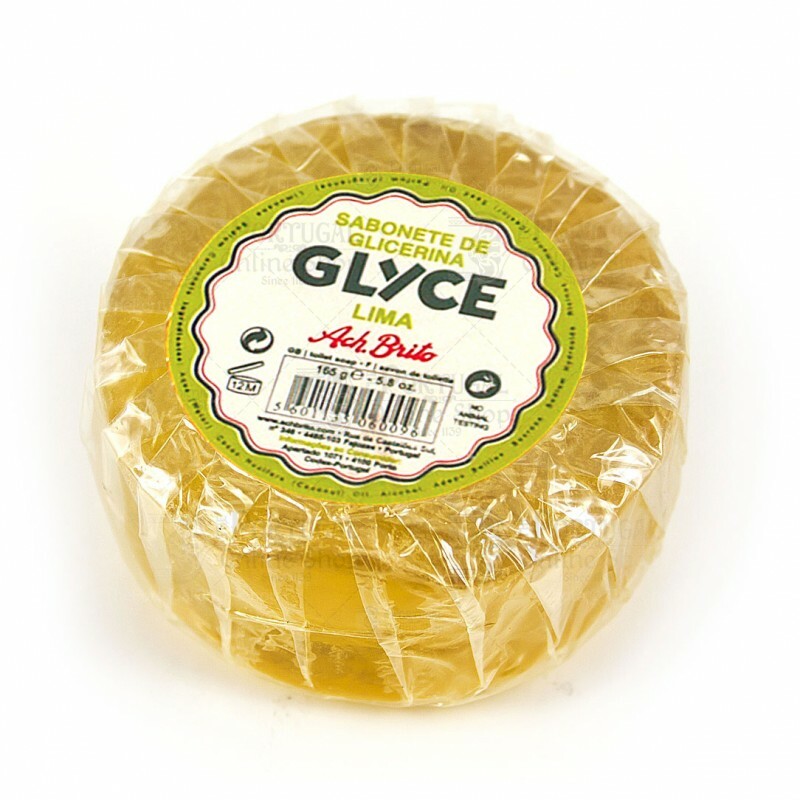 The diferences from the Musgo Real Glyce soap are very little, except this one isn't so expensive. It has a really fresh citrus scent as well. I am now a regular customer here and so far the feedback is superb! Thanks to Miguel and The Portugal online Shop! Regards! This soap is a good product for use as a pre-shaving soap. It calms the skin and cleans it also very well. The scent is citrus and a bit soapy, but that is ok for me. It is a recommendable soap that I would advise you to try. Very good value for money!